Not every child has exposure to reading and books, but you can help. How? By checking out WeGiveBooks.org and participating in the JumpStart's Read for the Record Day. When? Tomorrow, October 4th. Help this organization by reading to a child. Join them online to set a new World Reading Record and show your support for Early Childhood Literacy. 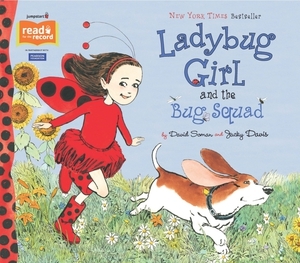 Taking action on October 4 to read for the record is easy and fun, especially with this year's book, Ladybug Girl and the Bug Squad by Jacky Davis and David Soman. Just read LadyBug Girl and the Bug Squad tomorrow and let them know how many children (and adults, too) you read with. A free digital version of the book is available at WeGiveBooks.org. When you read online at We Give Books with the children in your life, you'll help set a record for a shared digital reading experience! This digital reading record at We Give Books will count toward the overall World Reading Record tally, too.